One of the most amazing sunsets I’ve ever experienced. 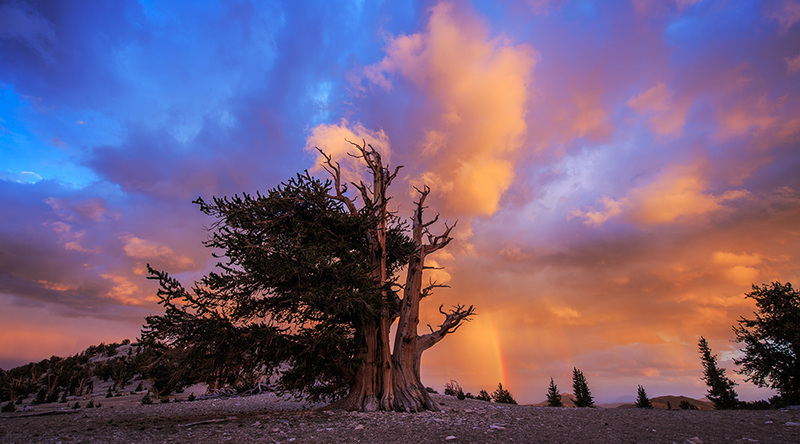 Shot at the Patriarch Grove in the Ancient Bristlecone Pine Forest on August 22 with rain clouds looming over head, mother nature put on a show. Rain, lightning, double rainbows and golden light. Posted on Tuesday, August 21st, 2012 at 11:35 pm. Filed under: Landscapes, Photography, Portfolio	RSS 2.0 feed.